Stucked in LA traffic I heard the rumors of epic days at Unstad. This was the first proper swell of the year. Perfect angel about 215 degrees South West swell, perfect size and perfect period. So far the season has been alright but not in the epic range. We had some good days in the north but this was something else. Going to California are always nice but this time was a total bummer. We talked to some of the surfers that was lucky to get a taste of this nice winter swell. 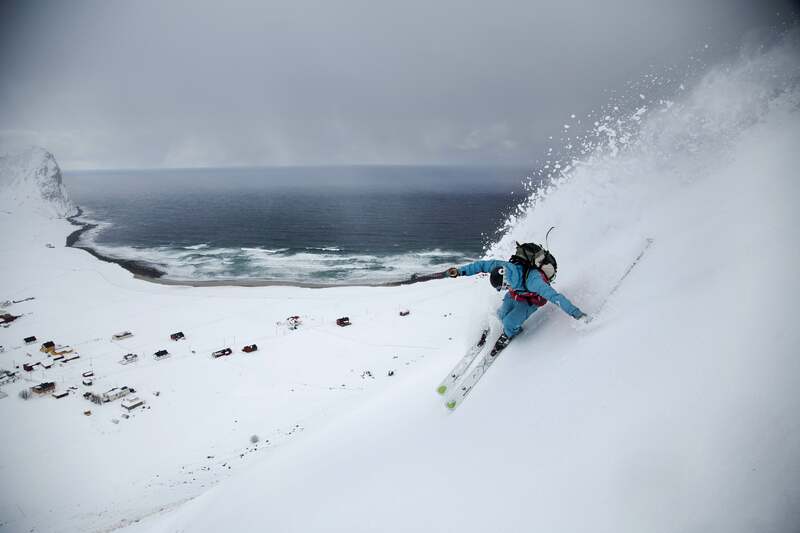 "Last weeks conditions were epic. 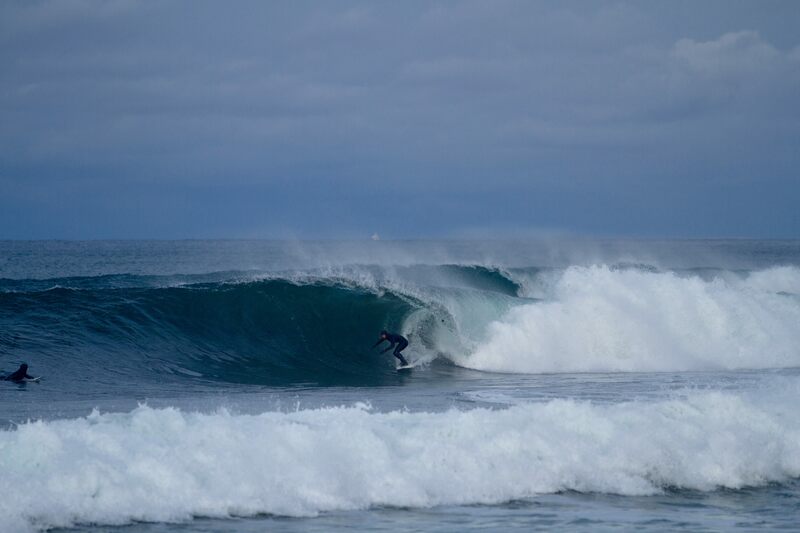 I woke up in the morning to snow, offshore winds, and a big and fast right hand point break. After talking with Matti, who works at the camp, we decided to wait for the left to start working. Being a goofy footer I was frothing for a good left so we waited. The tide filled in and the left turned into a perfect peeling head high to overhead wave. We paddled out with the snow falling and was lucky to get into a left I didn’t dream was possible when I came to Norway. Riding a 6’6 Bing from the camp and having a little extra foam I was able to get in early set a good line, go fast, beat some sections and kick out absolutely stoked. Riding this perfect left with snow hitting my face was something a Southern Californian never dreamed to experience. A wave and trip I’ll always remember!" So far this winter has been pretty bad, especially when it comes to bad weather. Lofoten could be though when it comes to rain and wind. So far the I could not remember a good day with sun and good days in months. 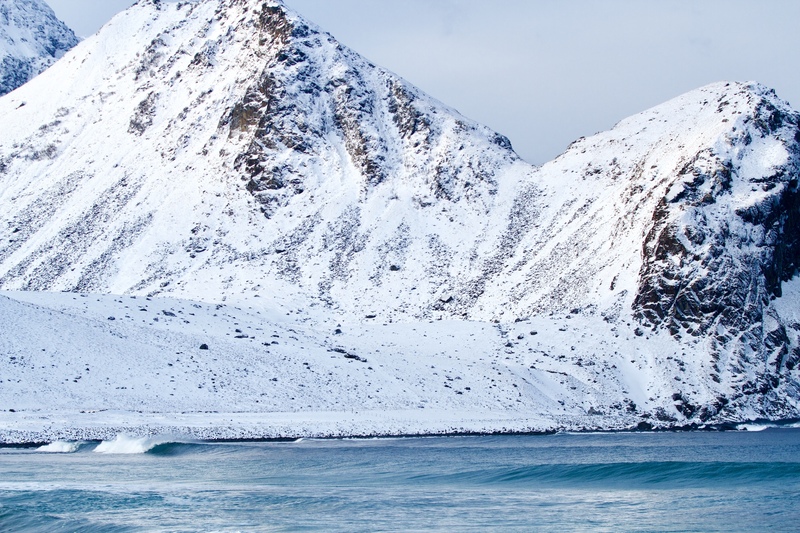 This is also why a lot of Norwegian surfers choose to have some weeks in warmer conditions. The average temperatur in March is about 0 degrees celcius (32 F.) in the air. Water is pretty stabile with almost 8 celcius (46 F.) during the entire winter. 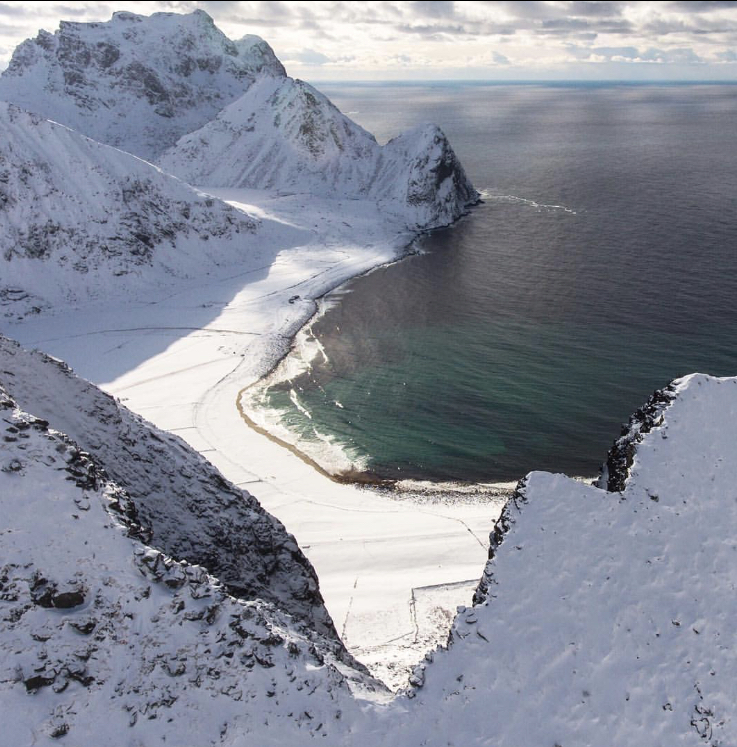 February to April is probably our favourite months to visit Lofoten. Remember to bring both your surfboard and snowboard. 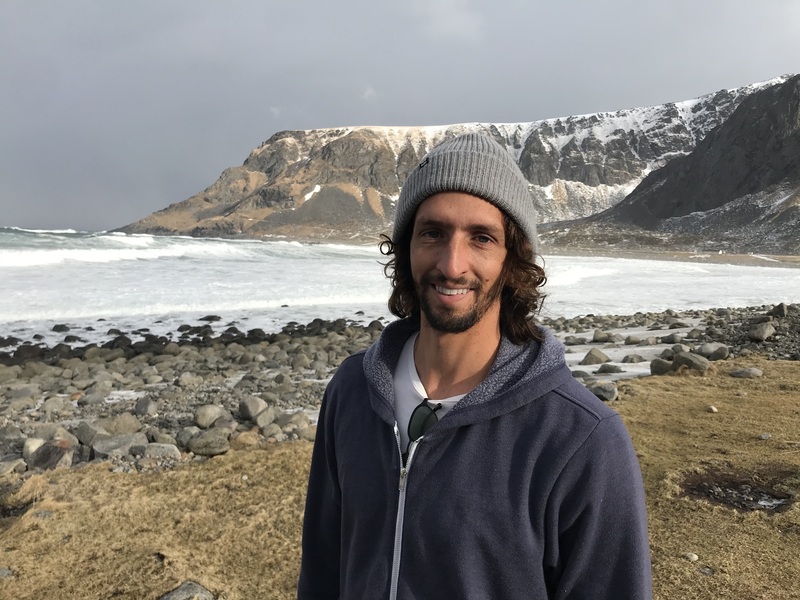 There is plenty of peaks around Unstad that is perfect for a nice run down the hill.